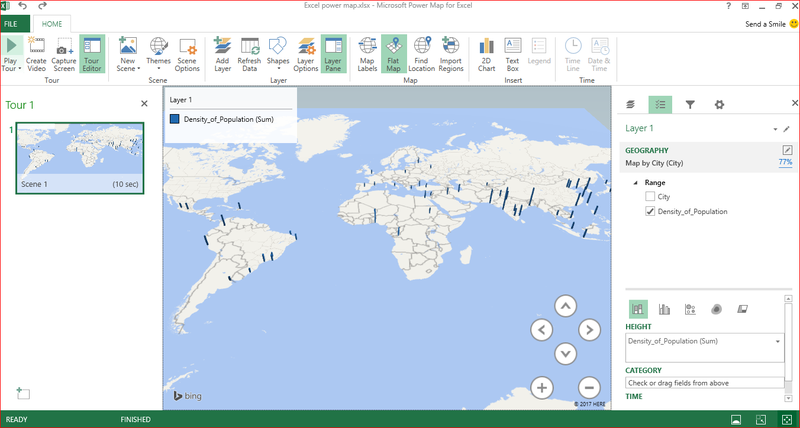 Microsoft Power Map in Excel is a three-dimensional (3-D) data visualization tool that lets you look at information across Geographical location in a handful of different representation. 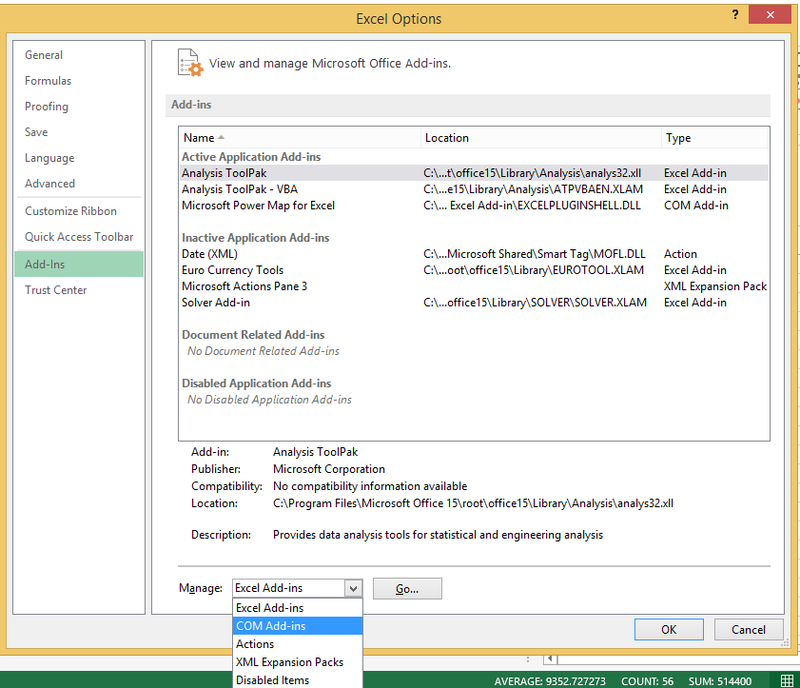 Now, Excel Power Map will appear on the insert tab. Now you just need to select the data you want to map, in my case it would be the whole table, go to INSERT tab, and click on a “Map” icon. Click on “Launch Power Map” and here we go. 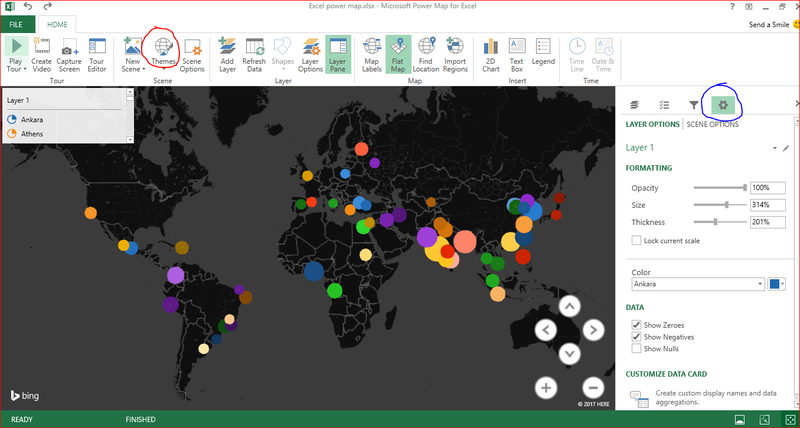 The Power Map window will pop-up on your screen. 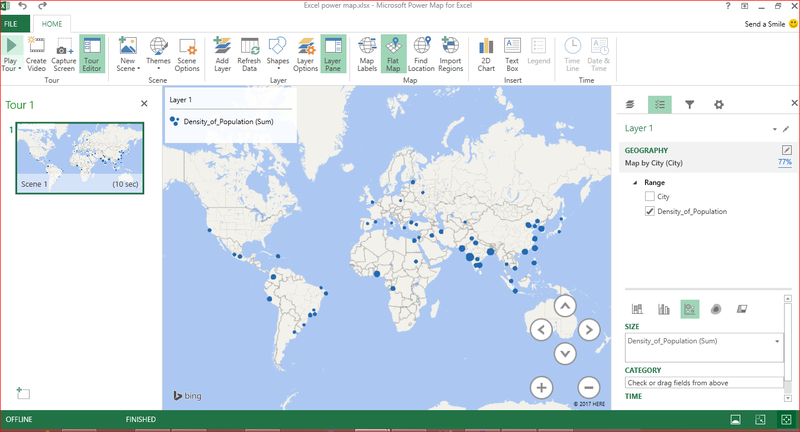 Excel Power map Plugin Automatically detects the city as Geography in “choose Geography” Layer. If you want a flat map click on the “Flat Map” tab . As we are plotting the density of population across the world .We in deed require a Flat Map. After choosing “the geography” click on the NEXT button in the bottom-right side of the page. You will be moved to choose the range. Now you need to select which data you want to visualize. Here check the Density_of_Population check box. Which plots the Density of population Across the City (Chosen Geography). Default will be stacked column. 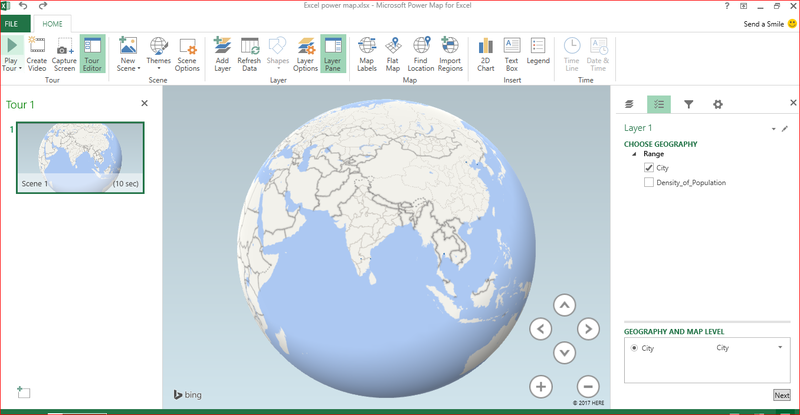 Click on Downward Arrow(Shortcut: Shift Down Arrow ) to View 3D view of power map in Excel. Now the best way to present this data in Excel power map is bubble chart. click Bubble button in the below menu. If you want to Distinguish each and every city then Check the city Check box under the Range. You can adjust the bubble size , Opacity and Thickness by clicking the settings button on the Top Right corner as shown below The size of the bubbles will change with the map scale so you can select “Lock current scale” , to make them look same when you zoom in or zoom out. 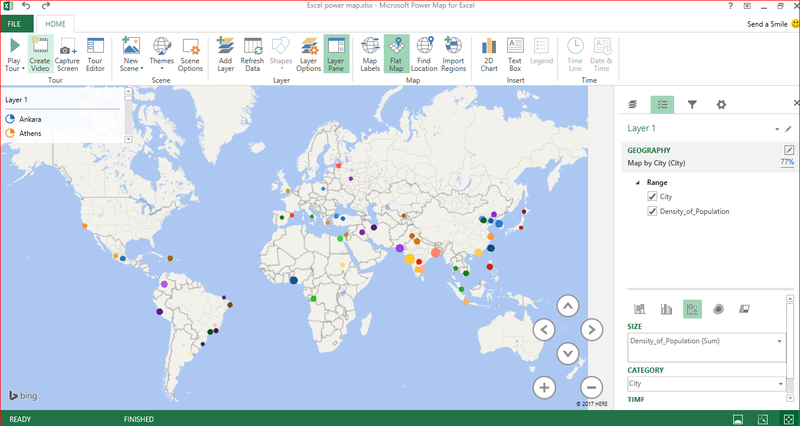 Now the Power Map in Excel is ready , we can present it directly in Excel to maintain the interactive feature or we can take a screen shot and present it in image format.